millenniumfalcon.com • View topic - Boyega Says "'TLJ sends Fisher off in an amazing way." Boyega Says "'TLJ sends Fisher off in an amazing way." John Boyega Says "'The Last Jedi' sends Carrie Fisher off in an amazing way." Leia will get a sendoff fit for a princess in Star Wars: The Last Jedi, John Boyega reassures fans in a new interview. Speaking with ABC News, the star of the upcoming film Detroit said his fellow Star Wars castmate and late friend, Carrie Fisher, will appear onscreen for the final time in perfect manner. "This movie, it sends her off in an amazing, amazing way," Boyega told ABC News. "And she is still kept alive in this franchise. That's the beauty of it: She lives forever in a sense." The Finn actor said when he learned of Fisher's death last December, "It was a strange, strange feeling. I felt like everyone in the cast went silent for a bit after that." He also said Leia and Finn have multiple scenes together in director Rian Johnson's Star Wars installment. "We worked together closely on this," he said. Before Fisher's untimely death in December 2016, Leia was expected to have a role in 2019's Episode IX. Lucasfilm president Kathleen Kennedy has since said The Last Jedi was not changed to address Fisher's death, and that Leia will not appear in Episode IX. The Last Jedi is due out in theaters Dec. 15. He almost makes it sound like she goes off into hiding or something. Just kill the character. No silly nomsense. Pretty sure that's what Boyega is hinting at - that Leia will die. The first, and one that has been abundantly established in the canon novels and comic books, is that Palpatine was being drawn to a very powerful presence of the Dark Side of the Force that was located "out there." There has been much conjecture that Snoke was this presence, but... What if he isn't? Or... What if he's only a piece of that distant Dark Side power? It could be that General Leia becomes tasked with finding out exactly what this new threat is, and the film ends with her leading an expedition to acquire critical information. 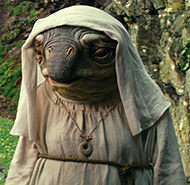 In Episode IX nothing more is heard from her, and we're left to presume the worst. Although it's hard for me to imagine that no matter the distance, that if Leia died that Luke wouldn't feel her physical death, and we'd have to get some kind of recognition of it in one of the movies. Another possibility, and, I'll admit, this is a STRETCH, is what if Leia does get killed in this film, perhaps even slain by her son? Now, this opens up a can of worms in this sense - if this happens, then we well know that she was supposed to play an enormous role in Ep. IX; how could this be if she's slain at the end of Ep. VIII...? 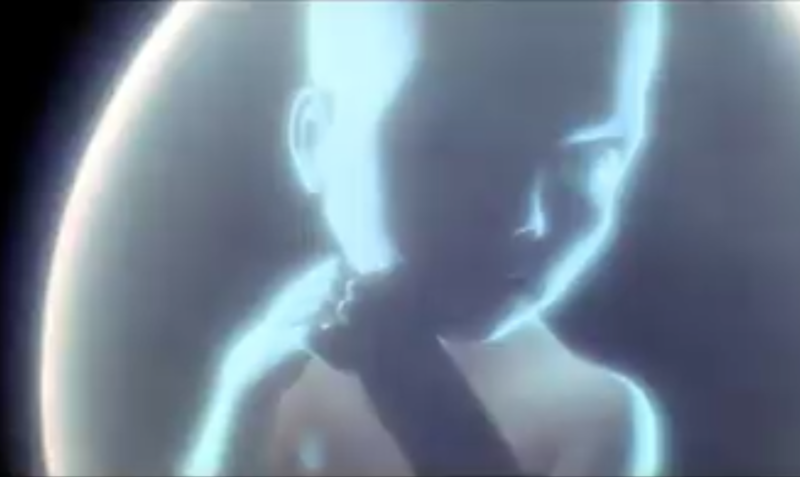 They intended that she'd come back as a Force ghost, for she had been trained to retain her consciousness by Luke, as he knew well of it from Obi-Wan, Yoda, and then even his father. In fact, from Luke's point in history, the fact that Jedi could do this would be natural, as every Force adept that he had known was capable of doing this. Leia's death at the end of VIII would've set her up to be the Gandalf The White of Ep. IX. With Fisher's death, this Force ghost plot point would become simply impossible, and for a whole host of reasons. It becomes downright distasteful to try and CGI a Force ghost effect "actress" when the real deal is actually dead. Taboo? Completely. Still, I think that this approach is highly unlikely. It has been officially stated that Fisher will not be re-created digitally in Ep.9. But what if in the future, Leia and Luke have passed away and they appear as spirit guides in voice only to Rey and other future heroes? That wouldn't be a bad thing, imo. The Force ghosts phenomenon are a real Catch-22 in regards to what Disney can/can't do with Leia in terms of the overall storyline. If she goes off to find The Ultimate Source of the Dark Side of the Force, and does NOT die by the end of Ep. IX, then there's no issue. To me, that will still feel weird; having no idea by the end of this trilogy of her ultimate fate, which would kind of evoke an Arthurian Legends vibe. However, if she DOES die in any manner and at any place, then Luke (and us) will have to know - there's just no wiggle room due to how their relationship was established in all of the prior movies. Disney will be forced to use SOME of Fisher's earlier material, but, perhaps it might be as you suggest - no CGI Force ghost/stand in, but rather a Force "voice," akin to Qui-Gon Gin's capabilities. Why'd she have to die? Why couldn't I save her? I know I could have! I hear you. It's so sad that Carrie's gone. She'll always remain one of the most iconic female characters to have ever existed. Quite a legacy. Disney will be forced to use SOME of Fisher's earlier material, but, perhaps it might be as you suggest - no CGI Force ghost/stand in, but rather a Force "voice," akin to Qui-Gon Gin's capabilities. I was thinking that perhaps her daughter, Billy Lourd, could do her disembodied voice as a Force Ghost in future movies, and it could work out fine.